With just 56 players left in #EPTBarcelona Main Event it is Irishman Mark Buckley who is chip leader. 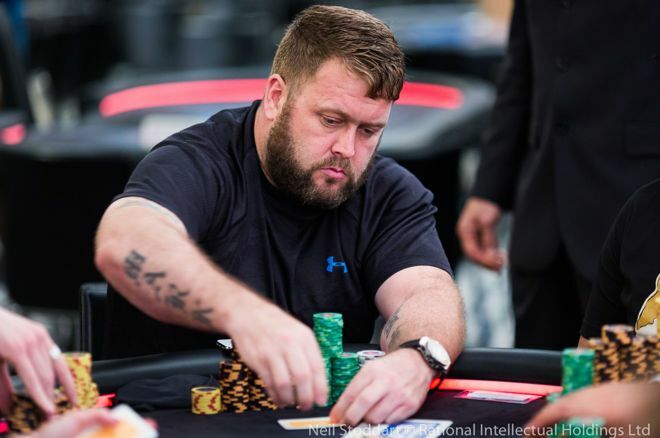 Close behind him is Brazilian Fabiano Kovalski (2,530,000) and Matthias Tikerpe (2,325,000), the latter of which eliminated Shaun Deeb (61st - €19,760) in the last level of the night to move to around the two million mark. There are plenty of big names also still in contention including EPT champion Ognyan Dimov (1,730,000) and 2015 EPT Barcelona champion John Juanda (1,210,000). PokerStars Championship Prague winner Kalidou Sow started the day with just five big blinds, but ended up bagging a comfortable 1,450,000. But today saw the last remaining PokerStars Team Pro bust in brutal fashion. 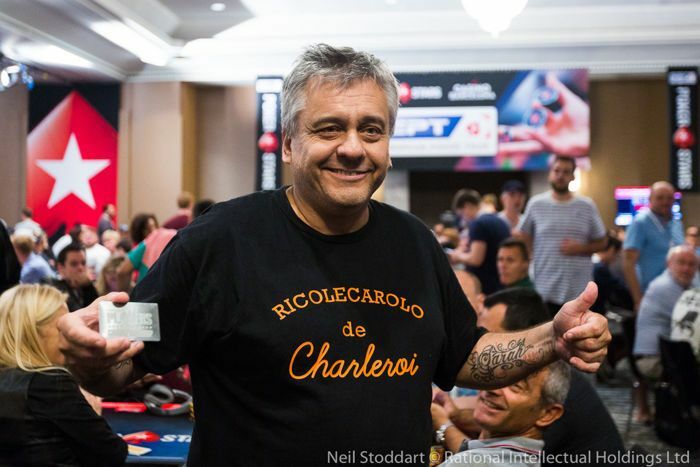 Jaime Staples (60th - €19,760) flopped a set of fours against the set of sixes of Ben Heath and when the board paired on the turn, the pair proceeded to get it in on the river and Staples was eliminated. Unfortunately, former EPT Champions Benny Spindler (204th - €9,740), Patrik Antonius (196th - €9,740), Niall Farrell (149th - €10,770), Jens Kyllonen (137th - €12,080), Michael Tureniec (76th - €16,670) and Dominik Panka (64th - €19,760) won’t be adding another title to their poker resumes. Short-stacked at the beginning of the day, Viktor Blom was among the early casualties collecting a Day 2 min-cash of €8,900, with last year’s PokerStars Championship Barcelona winner Sebastian Sorensson not far behind them (197th - €9,740), with Sorensson losing out to Frenchman Julien Sitbon in the early stages of the day. Other notables include former professional footballer [Removed:30] (174th - €10,770), Anatoly Filatov (162nd - €10,770), Pedro Cairat (120th - €12,080), Leo Margets (€14,330), Day 2 Pineapple Flip Out Platinum Pass winner Eric Lenoir (117th - €14,330), Fernando Pons (100th - €14,330), Mustapha Kanit (92nd - €16,670), former EPT San Remo runner-up Jason Lavallee (77th - €16,670) and Mark Radoja (58th - €19,760). The PokerNews live reporting team is still in Barcelona capturing all the poker action from the EPT festival. Check the PokerStars EPT Barcelona Live Reporting for the full list of events. Have Fun with FREE No Deposit €5 and Extra €200!